Cloud migration software helps companies upgrade systems and update data by assisting in the relocation of files through the cloud. These solutions, also referred to as content transformation or content integration tools, often provide features for data encryption, data backup, and documentation for migration records on both a systemwide and file-specific level. They often integrate with entire classes of software such as enterprise content management (ECM), or they’re geared towards products for SharePoint migration and Office 365 migration. Most migration tools can transfer large pools of calendars, contacts, documents, and communications to cloud applications or storage tools. Successfully utilizing a cloud migration tool can save IT departments significant time and simplify future cloud data integration practices. They can also simplify the organization, consolidation, and integration of a wide range of data types. 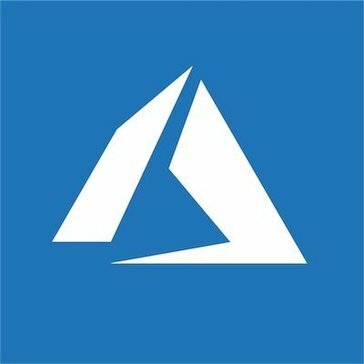 Cloud Migration reviews by real, verified users. Find unbiased ratings on user satisfaction, features, and price based on the most reviews available anywhere. 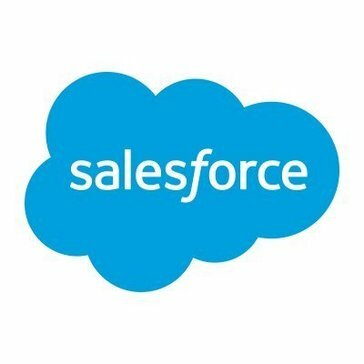 Salesforce Platform: Salesforce Connect integrates and access data from other Salesforce orgs and external sources with point-and-click simplicity. PieSync takes care of syncing your contacts between your favorite cloud apps two-way and in real-time, so you can focus on building your business. Empower your SaaS Stack with tailor-made bridges between cloud-based apps. Our supported apps include: Smartphone: * Google Contacts * iCloud * FullContact * Outlook 365 CRMs: * 1CRM * Daylite * Nutshell * Sugar CRM * Act! 365 * EfficyCRM * OnePage CRM * Teamleader * Act! Premium Cloud * EspoCRM * Odoo 10 * weclapp * Agendor CRM * Freshsales * Office 365 Outlook.com * Vtiger CRM * Agile CRM * GreenRope * Pipedrive * Workbooks * AllClients * Highrise * Pipelinedeals * Zendesk Sell * amoCRM * HubspotCRM * Pipeliner CRM * Zoho CRM * Apptivo * Infusionsoft by Keap * Podio * Batchbook * Insightly * Propeller CRM * bexio * Keap * ProsperWorks * BigContacts * LeadMaster * Rex * Bitrix24 * Less Annoying CRM * Salesflare * Brivity CRM * Livespace * Salesforce * Capsule CRM * Membrain * Salesforce IQ * Clio * Microsoft Dynamics 365 * Salesmate * CompanyHub * NetSuite CRM * SalesSeek * ConnectWise Manage * Nimble * Sellf Marketing apps: * ActiveCampaign * LeadSquared * ActiveDEMAND * MailChimp * ActiveTrail * MailerLite * Autopilot * AWeber . * MailUp * Benchmark * Marketo * BombBomb * Mautic * Campaign Monitor * Microsoft Exchange * Campaigner * SendGrid * Constant Contact * SendinBlue * ConvertFox * Sharpspring * Drip * GetResponse * Dotmailer * Ontraport * Emma * Pardot * HelloDialog * Robly * Hub * TractionNext * Hubspot * Unbounce * Infusionsoft * Wishpond Customer Support: * Clarabridge CX Social * Crisp * Desk * Groove * Freshdesk * Front * Help Scout * Intercom * Kustomer * Mojo Helpdesk * Re:amaze * Teamwork Desk * Zendesk Prospecting: * Facten * LionDesk * MyPhoner * NoCRM.io * Outreach * PersistIQ * Prospect.io * SalesLoft * Woodpecker VoIP: * Aircall * PhoneBurner * RingCentral Accounting apps: * Chargebee * Debitoor * Easybill * FreeAgent * FreshBooks * FreshBooks Classic * Invoiced * Invoice Ninja * Microsoft Dynamics 365 Business Central * Quickbooks * FastBill * Recurly * Sage Live * Sage One * Stripe * Xero * Zoho Books * Zoho Invoice Lead Generation: * Facebook Lead Ads * SurveyMonkey Real Estate: * Contactually * Dotloop * FollowUpBoss * Pipedrive E-commerce: * BigCommerce * Shopify * ShipStation * Vend Project Management: * APROPLAN * ERPNext * Teamwork Projects Data cleaning: * DataValidation FinTech: * FinFolio Scheduling software: * Bookeo * Planyo Event planning: * Eventbrite * RegFox Fundraising: * Classy Contact Analytics: * Mixpanel Recruiting: * Zoho Recruit Inventory: * Cin7 Main benefits of having your contacts in bi-directional sync between cloud applications: - No more duplicated contacts - Save time spent on data entry - No more import/export of your contacts - Share contacts with your team - Have all your contacts available on your smartphone - Avoid manual errors - Set it and forget it (it takes about 5 min to set up your sync(s)) For more information visit www.piesync.com, or reach us at support@piesync.com for any questions. Zimbra Desktop is a free and open source email client application that gives you online and offline access to all your email accounts in one place. Zimbra Desktop works with many types of email systems to synchronize email, contacts and calendar data between users mailboxes in the cloud and local data stored on your computer disk. Windows Desktop based server independent Lotus Notes to Outlook conversion software. That assisted user and many on-premise migration consultants to convert NSF data to PST file format in a minimum time frame (depends on file size). The internal algorithm of the software is highly appreciated because it performs quick conversion without including any technicality. The software perfectly converts transfer all Lotus Notes elements in Outlook PST in bulk with safety and accuracy. Help Desk Migration is a unique service that allows moving data from one platform to another. It doesn’t need special codes or scripts. The whole process is safe and sound. Help Desk Migration supports around 30 most popular help desk systems. Now you can migrate tickets, chats, notes and other data within several hours. CodeTwo specializes in creating software solutions for Microsoft Exchange Server, Office 365 and Outlook. CodeTwo's applications are designed to aid mail server administration, mailbox migrations, backups and group work in all types of businesses. CloudExtend, (a Celigo brand) builds applications for end users of NetSuite and Salesforce that allows them to work exponentially faster. Our team has a laser focus on Excel and email integrations. Combined with our strong background in ERP and CRM, this enables us to deliver products that install in seconds and delivers immediate benefits. The BigQuery Data Transfer Service automates data movement from SaaS applications to Google BigQuery on a scheduled, managed basis. SysTools Google Drive Migrator Tool allows a user to migrate the data from one Google drive to another Google Drive or domain. All the data items like audio, video, PDF, photos, document files, etc can be transferred easily with this tool. Bit-Wizards provides full integration solutions with Kentico websites using responsive design, custom intranet development, custom e-commerce development, enterprise marketing implementations, cloud deployments and migrations, and website upgrades and migrations. With this powerful tool, migrations to Office 365 from Exchange Server, as well as servers supporting IMAP, are easier than ever before. You can migrate mailboxes between Office 365 tenants, just as easily. The program lets you seamlessly move mail to the Cloud, with the help of easy configuration, status reports and log files for each migrated item. No matter if you are currently on Exchange 2003 or 2016, Zimbra, IBM Notes (formerly Lotus Notes), Zarafa or G Suite the program will make it possible for you to securely move your users to Office 365. SyncGene is a sync service and web app for your Contacts,Calendar and Tasks. This program helps to move various mailboxes of Exchange EDB files to an Office 365 account with all the data items. It moves all the items including emails, calendars, contacts, tasks, notes etc. AWS DataSync is a data transfer service that makes it easy for you to automate moving data between on-premises storage and Amazon S3 or Amazon Elastic File System (Amazon EFS). COMPANY on Cloud Managed Service (CCMS) is the ultimate enterprise cloud created to achieve cloud operation of ERP quickly, simply, safely, and at optimum cost. CloudVelox offers automated cloud migration and disaster recovery software for deploying multi-tier apps and services to the cloud. CodeTwo Exchange Migration allows for secure and hassle-free migrations to Exchange 2016 and 2013 directly from older editions of Exchange (starting from Exchange 2003). The program also lets you centrally manage migrations from servers supporting IMAP, such as IBM Notes (formerly Lotus Notes), Zimbra, Google Apps and hosted email services. No double-hops, scripting or PST exports required! Domigrator gives you the ability to export documents from a Domino database to PDF:s or Word-documents. This gives you the possibility to archive your old Notes Applications either on your filesystem or uploaded to Sharepoint. Elemica is the leading Digital Supply Network for Process Manufacturers. Elemica solutions connect the world’s leading process manufacturers, thousands of their direct material suppliers, logistics service providers and end customers for the products they buy, sell and move with visibility solutions that enable clients to see and anticipate risk. Elemica works with process manufacturing enterprises and their trading partners to connect efficiently and securely. Then automate the move, buy, and sell transactional data across a Digital Supply Network. The Elemica solution accelerates you on your path to Digital Transformation by introducing frictionless business processes that enhance revenue growth by supporting new business models, M&A activities for new markets, and digitization that saves time, reduces labor costs and frees up working capital. Mass Data Migration uses storage devices with 120 TB of usable capacity to accelerate moving data to the cloud and overcome common transfer challenges like high costs, long transfer times and security concerns , all in a single service. Import2 is an online data import service that helps you transfer business or personal data between cloud apps. Simplify the management of Microsoft® online services with Kaseya 365Command. Centrally manage multiple cloud services through one interface to drive efficiencies and improve security. Kaseya 365 Command’s reporting functionality enables behavioral monitoring of users, emails and files. Anomalies to normal behavior can be more readily identified, alerting administrative personnel to suspicious activities and potential information vulnerabilities or breaches. MailsDaddy MBOX to PST converter is an email migration tool that helps users to transfer emails from several email clients to MS Outlook, it supports many desktop email clients and allows exporting multiple MBOX files to PST format at once and can use Search Mail(s) option of the software to filter and export required items into PST, EML, MSG, RTF, HTML and MHTML formats. Migrate Outlook software is a simple email backup & migration tool that lets you backup & migrate Microsoft Outlook data with ease. MoveitPro is a web-based moving and storage management software. Hi there! Can I help you find the best Cloud Migration solutions?